FotoBella is thrilled to bring you the Children's Hour monthly card/tag class. Each month the class kit will include supplies and directions for 2 cards and 2 tags using the G45 Children's Hour calendar collection. There will be new techniques and embellishments each month. This is the kit for October 2016. 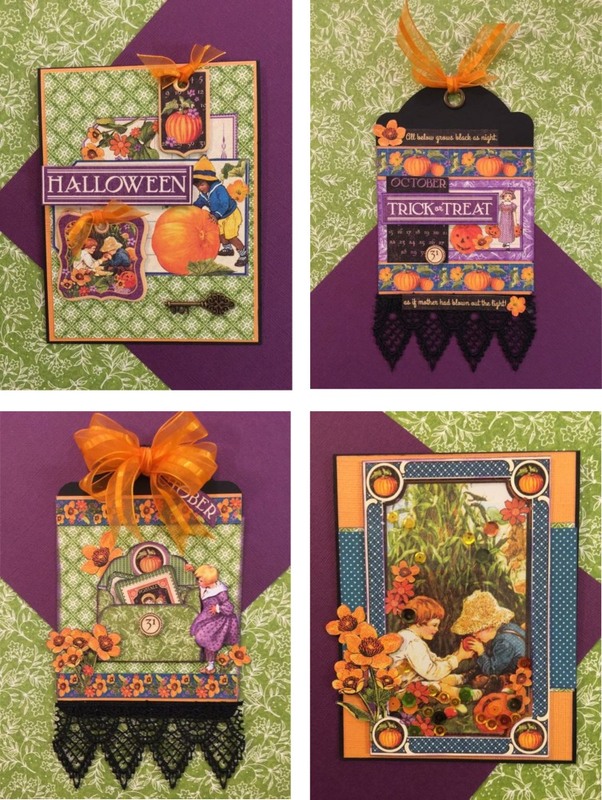 This kit assumes that you have already purchased the G45 Children's Hour Starter kit or I REALLY Want It All bundle and provides printed instructions, extra papers, embellishments, and staples required for the month. You will need to supply the typical ink, adhesive, punches, stamps.